If you’ve been thinking about growing your own this year, then now is the perfect time to get started. 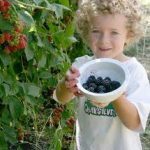 Getting our hands dirty in the garden is more than just about saving money; it’s about the satisfaction of watching your seed grow in to a plant that is soon a delicious crop. Being able to harvest your own food is not only exciting for the whole family, but it encourages us to eat fresher, healthier food. This is especially true for kids, and it’s why we think every school should have a veg patch with an asparagus bed where the crop is ready at the beginning of the summer term. 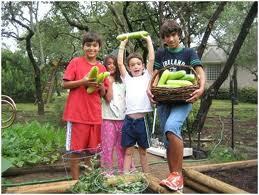 To make this work we are convinced that growing and cooking food should be on the curriculum. Certainly the project we ran with a primary school in Leicester proved this, with kids who said ‘I hate vegetables’, munching on raw carrots they had grown. Click here for the video. If every child left school knowing that raw veg was delicious and that they could grow their own, I’m ceetain we would have a healthier country and save the NHS millions. At BigBarn we are keen for everyone to have a go at growing food and even start trading it locally with our Crop for the shop scheme. All part of our mission to build a social, LOCAL, food industry, as an alternative to the anti-social national one, that gives neither producers, or consumers, a good deal. There is no doubt that by cooking and eating fresh fruit and veg, half this country’s population would become more healthy, and save money. Seasonal vegetables are normally very reasonably priced compared to a ready meal, or imported food, especially if sourced locally. A home baked potato could cost around 5p compared to a McCane ready made one, in a box, for 70p. Likewise a soup made from chopped mixed veg and some stock cubes will be a fraction of the cost of tinned soup, and much more nutritious. Growing veg can also kindle some artistic flair. Often you need canes or, something like our bean pole wigwam, which we made from willow poles pruned from a local overgrown willow tree. These can be decorated by your children to help them get creative and also give them a sense of ownership over their veggies. So there are the 4 reasons to grow your own; save money, get healthy, get enthused and artistic accolade, and, make money by selling your veg through local shops. Take a look at our seed map to help you get started in the garden and have a search around the site for some tasty recipes if you want to grow specific vegetables. 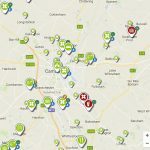 If you want to find a local food or seed shop look for icons marked with a rosette on BigBarn, if your local food shop is not flagged with a rosette, or not on BigBarn, please tell them all about us.